March is full of so many great things to celebrate! St. Patrick's Day, the first day of Spring, and Easter are so near! But for my family, there's one more day to celebrate. It's a day that I never imagined we would celebrate. It's a day I never imagined I could possibly embrace. It's a day that means so very much to my family: World Down Syndrome Day. It's a day we spend celebrating our sweet Liam and all of those who are rocking an extra chromosome! 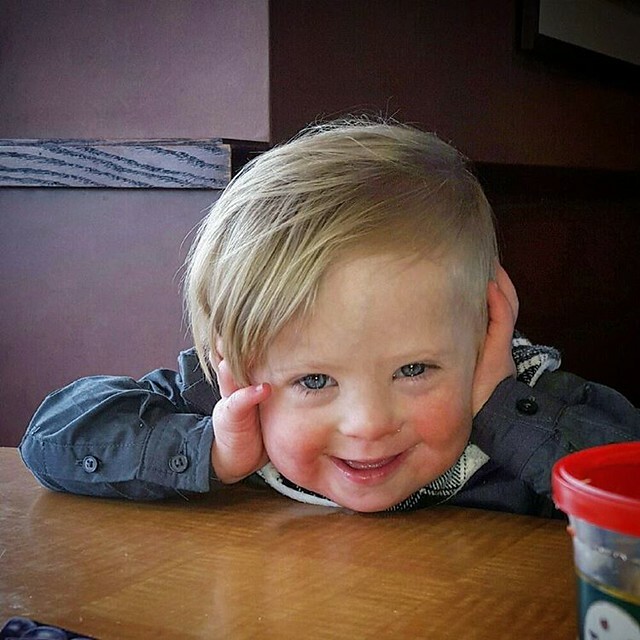 Liam brightens each and every day with his contagious smile, unstoppable joy, and unconditional love. He truly loves like no other. People always tell me that he is so lucky to have us for his family, but really, it is the other way around. WE are so lucky to be loved by him. One simple hug from Liam can take your breath away and make time stand still for a few seconds. Liam inspires us to be the best we can possibly be. He inspires us to always be kind and make people smile. I can't think of a better way to celebrate the gift of our incredible blessing than by spreading the love! 21 Acts of Kindness are on the agenda for the month of March! 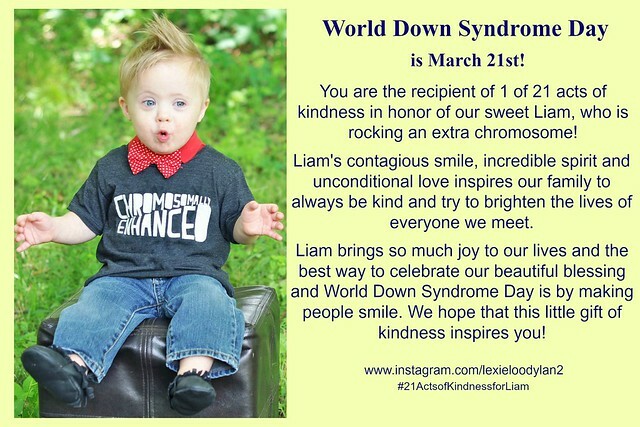 In honor of Liam, we will give 21 gifts of kindness in the days leading up to World Down Syndrome Day on March 21st. Dropping off cookies for the staff at the local library, where Liam spends hours each week playing. Donating supplies to our local animal shelter. Passing out $1 activity packs to random kids who could use a good distraction. Hand out bubbles and sidewalk chalk at the park. Handing a small gift card to the person behind me at Starbucks. Making dinner for a friend and delivering it. Giving a small bouquet of flowers to a random stranger who looks like they could use some cheering up. I won't be sharing the full list just yet, but you can follow along on Instagram or Facebook. I'll be posting about each act of kindness using #21ActsofKindnessforLiam. I printed out short notes to attach to each little gift and I had to include my favorite picture ever! I printed some with my Instagram account on them for acquaintances and some with #DownrightBlessed #DSAwareness on them for strangers. We can't wait to spread some joy! The only thing I want to accomplish with these 21 Acts of Kindness is to make people smile! I am the lucky recipient of Liam's love every single day, and I just want to share it with the world! Do you personally know someone who has Down syndrome? Have you ever participated in Acts of Kindness? Don't forget to rock your crazy socks on March 21st for World Down Syndrome Day! It's a great way to get people talking about World Down Syndrome Day and get people to ask questions. 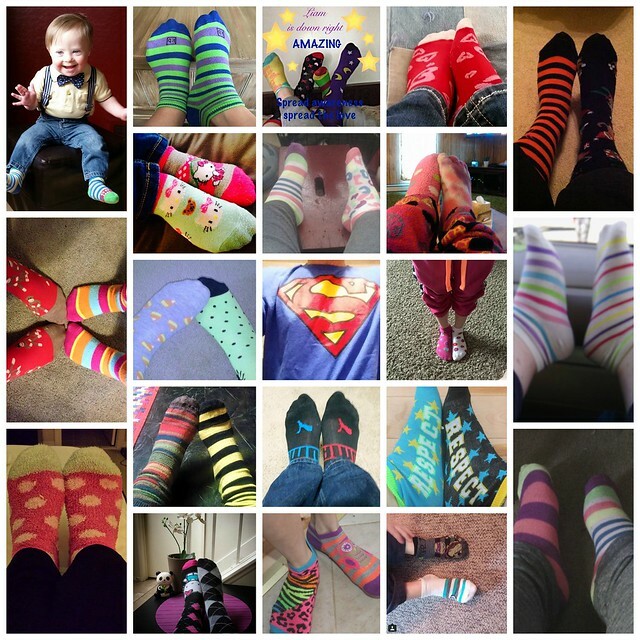 Last year, family and friends, both near and far, rocked their socks for Liam using #Socks4Liam. If you want to participate, please feel free to tag me in a picture! We were blown away by all the pictures last year! Linking up with Our Pretty Little Girls for Tuesday Talk! What a wonderful idea. While it sounds like March is going to be very busy for you, it's also going to be a month full of kindness and smiles. The best part is that your children will be right there to learn from you. We could all benefit from more peace, kindness, and generosity. Thank you for your kind words, Annette! I just want to share all the love that we've been blessed with. I have to admit, I choked up while explaining what we were doing to the recipient of our first act of kindness today. Talking about this journey immediately makes me feel sentimental! These are great!! Thank you for sharing. :) P.S. Your son is absolutely the CUTEST in the entire world. Awww, thank you so much, Cassie! I love this. He is just the cutest, and you will be making a lot of people smile. My uncle had down syndrome, and he was the sweetest, funniest guy. Such great ideas to spread cheer and awareness, love this. I hope you do an update to fill us in on the rest! I'm sharing each Act of Kindness on Instagram, but I plan to do a recap at the end of it! I love this idea and seeing pictures of that sweet boy of yours! I can't wait to hear how the acts go! Thank you so much, Leah! So far, so good. I try to plan the Act of Kindness for the day around where we are going! Thank you, Jessica! For some reason, I was only reading through the list I have on blogger instead of bloglovin. I realized just how much I was missing after I checked it a few weeks ago! Love, love, LOVE this and your sweet family! 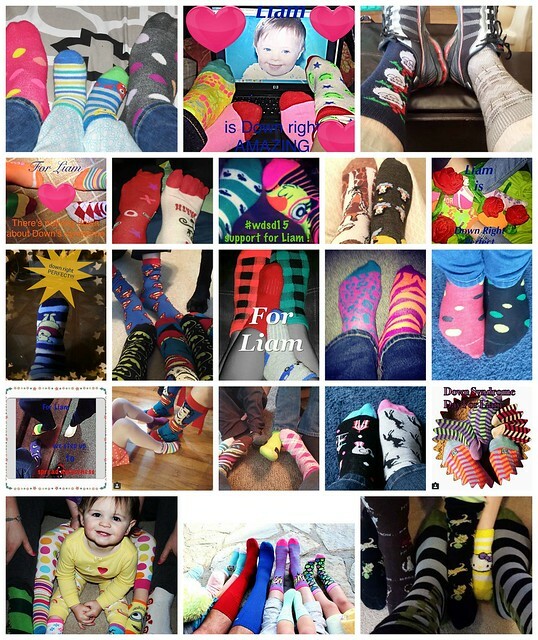 We'll definitely rock some socks in honor of Liam. And since we love doing acts of kindness, we'll do a few extra this month too! Thank you for inspiring others to live out loud!